Well-manicured gardens are enjoyed all around this grand resort, accompanied by one of the largest swimming pools in Viet Nam. 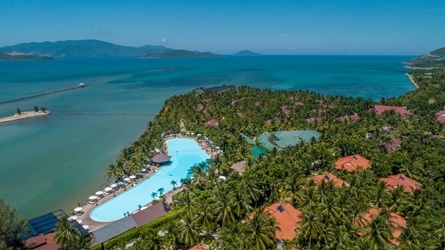 The massive pool is situated next to one of two private beaches, with lush green mountain ranges serving as a stunning backdrop. 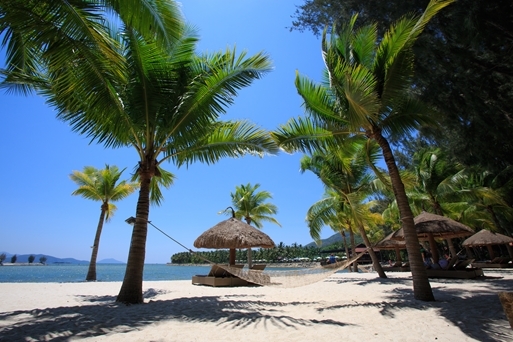 Diamond Bay Resort & Spa boasts 342 Guest Rooms, all our Bungalows and Suites come with above-standard features including private balconies or terraces. Seven Food & Beverage outlets serve anything from authentic Vietnamese cuisine to fresh seafood to Asian-Western gourmet prepared to perfection by our team of Chef gourmands, there are all sorts of dishes here to satisfy any palate. The resort also holds a world class Spa with professional therapists, promising you that any of our many treatments are guaranteed to soothe your senses for the ultimate rejuvenation. What’s more, a 18-hole golf course, hit-to-sea driving range, seaside tennis courts, fully-equipped fitness gym, and complete kid’s club are just a few mentioned out of many activities offered. But that’s not all, large Banquet Event Halls with seating capacities of up to 1000 pax, as well as Conference Rooms for meetings and smaller presentations accommodate M.I.C.E events of all scales. 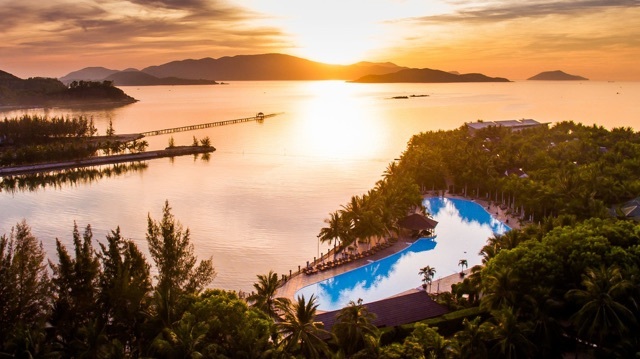 Within a short driving distance to the city proper, this four star resort is a marvelous beachside property with excellent guest services and facilities that cater to the most discriminating Business and Leisure travelers alike, for If It’s Nha Trang, It Has To Be Diamond Bay.